The Russian ZM-6A is a classic sample of Soviet-era engineering and workmanship. It is a 500 mm telephoto mirror lens based on the design of a known Soviet engineer Maksutov. This lens succeded the original MTO-500 lens, which was a heavy, brass unit. "MTO" stands for "Maksutov's Tele Ob'ektiv". ZM stands for Zerkal'nyi (Mirror) Maksutov's. The ZM-6A was much improved, it is a faster lens (1:6.3 vs. 1:8 in the MTO-500). It is also lighter, multicoated, and has a built-in sliding lens hood. This ZM-6A was made in 1991. It is in mint condition,looks unused. The glass is clear and clean. The focusing is smooth. 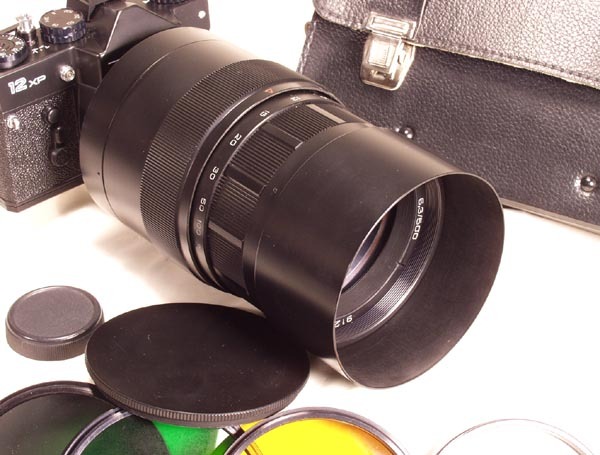 ZM-6A Lens with buil-in lens shade. Metal front screw-in lenscap and plastic rear lenscap. 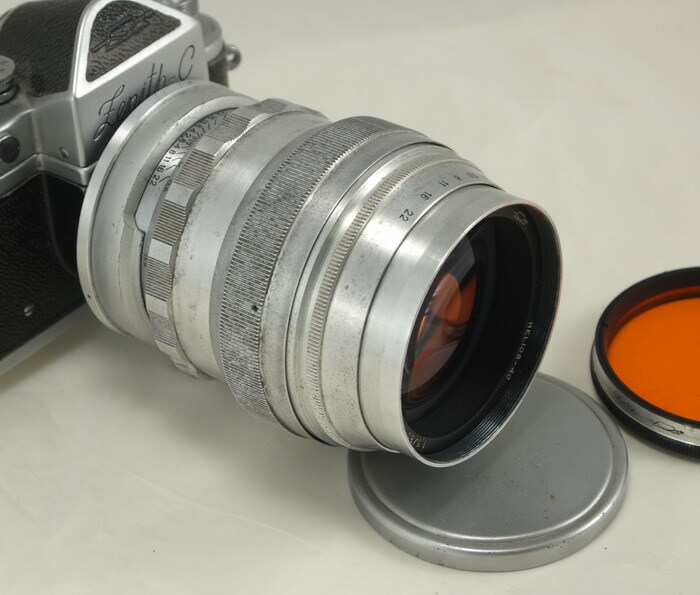 The lens is shown mounted on a Zenit 12xp (not included). This ZM-6A can be used with any M42 camera.